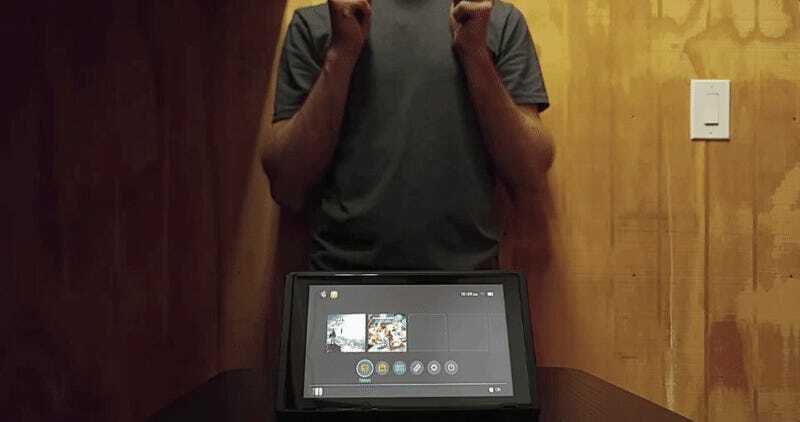 One of the most heart-warming stories in video games this year was the discovery in September that the Nintendo Switch console contained a secret tribute to the beloved Nintendo CEO Satoru Iwata, who died in 2015 at the age of 55. But Nintendo doesn’t want to talk about it, and it’s not clear why. This tribute, which unlocked a hidden copy of one of Iwata’s games when the system was set to the date of Iwata’s death, only works on Switches with the older firmware. I’ve interviewed Fils-Aime dozens of times over the last decade and am used to him mixing enlightening answers with those that halt at having nothing to announce. This, however, felt different. It’s understandable, given that we weren’t talking about games but about an easter egg tied to the passing of someone who was to him a boss and a friend. 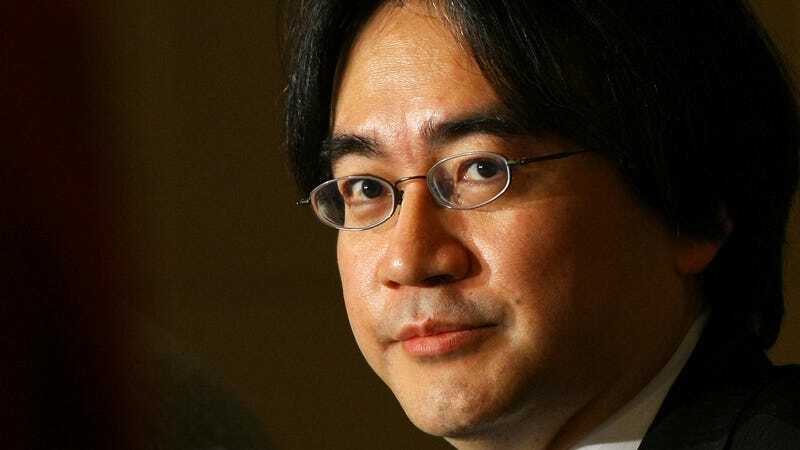 As Fils-Aime alluded, the Iwata tribute wasn’t officially released by Nintendo. It was discovered by hackers digging around in the system’s code and discovering an emulator program called “Flog” that seemed to be programmed to look for the date July 11 in order to do something. July 11 is the date of Iwata’s death. 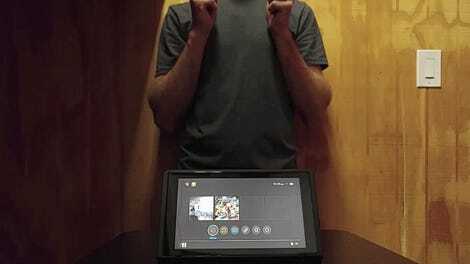 If the calendar in early Nintendo Switches is set to that date while the system is offline, and if the Switch user then takes the system’s motion-sensitive controllers and does Iwata’s signature “direct-to-you” hand gesture—hands held flat, vertical and spaced a few inches apart, pushing away from the body—the system unlocks a copy of a Nintendo Entertainment System Golf game that Iwata programmed. When we reported about the tribute in September, Nintendo didn’t supply a comment and later told us through a PR rep that they had nothing to announce. They no-commented other outlets as well, including the BBC. Moving as the Switch tribute is, Nintendo’s reluctance to talk about it could be because it was found by hackers. Eager, technically savvy fans regularly dig through the code of patches to games like Smash Bros. and Splatoon to find new content before Nintendo announces it, but Nintendo seldom, if ever, acknowledges such discoveries. That could be at play here, even when it involves the opportunity for Nintendo and its fans to collectively honor a beloved person. It’s also possible that Nintendo doesn’t want to talk about it because we were simply never meant to know about it. Maybe it is a private tribute not meant for more than friends and family to see. Or, perhaps this was an unsanctioned tribue that some people at Nintendo didn’t even know about. Left unexplained, after all, is who put this in the Switch and who knew that they did. It’s also unclear why the tribute doesn’t work on newer systems and whether that’s the result of a quirk to how the system’s date settings work, or if it was specifically disabled. Switch systems that have been updated to newer firmware and those that are sold now, which already have new firmware on them, can’t activate the tribute, even if a user changes the date to July 11. That’s why I asked Fils-Aime if it would come back and why I suspected, but wasn’t sure, that Nintendo had deactivated it intentionally. Last week, while talking to Fils-Aime, I pressed a little more. I asked how he felt about it personally. I said I found the tribute to be beautiful, especially because it involved doing the hand gesture. As I mentioned the gesture, Fils-Aime did the gesture gently with his hands. We moved on. For whatever reason, Nintendo won’t talk about this. But I’m sure many Switch owners, come July 11, 2018, will give this tribute another try. Note: Tweaked the headline slightly after feedback from readers who assumed we were criticizing Nintendo rather than just somewhat puzzled by their reticence to explain the tribute now that it’d been discovered and widely discussed by people who cared about Satoru Iwata.